This is just for future reference so no comments are needed . Various electrical faults , warning messages or side lamps flashing when locked are the sort of symptoms for this fault . Especially over winter or after a service this will occur . Basically the rear washer jet blocks or freezes .. If you use the rear washers or more usually they are checked on a service and operated then if blocked the pressure can cause a pipe connection behind the o/s/f A post trim to fail or leak . The pipe can also split at that point . 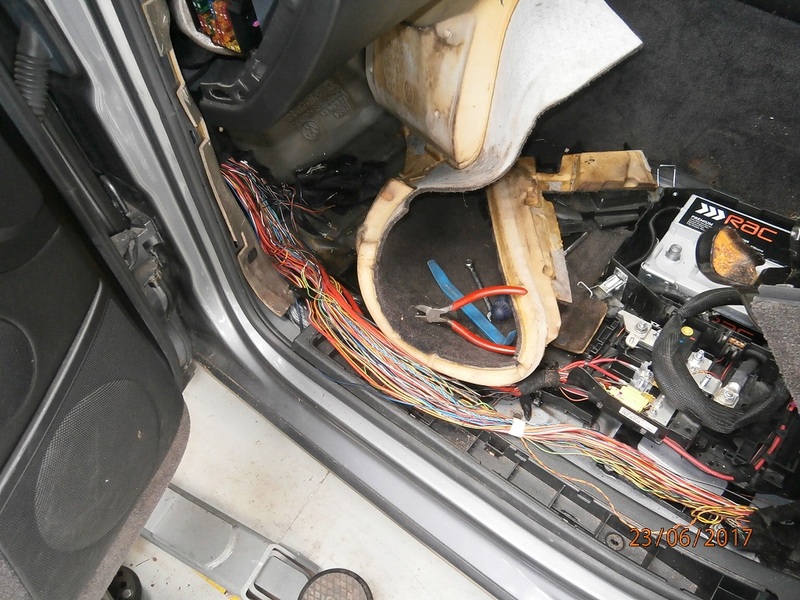 This will alow water to run down the inside of this trim , under the dash board and onto some control units there . Most control units in Porsches have the wiring plugs fitted on the underside just in case of water leaks . 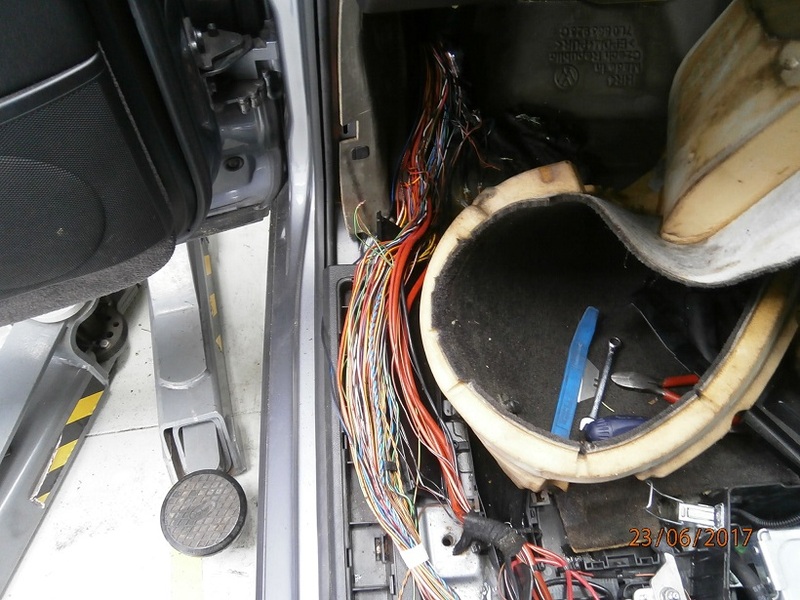 Unfortunatly the Vehicle Electrical System Control Unit also known as a VESCU or VESA has wiring plugs fitted from the underside AND from the top . The leak from the washer pipe alows water to run onto the top plugs which in turn will corrode the pins and short out the control unit .. Replacement cu and sometimes the rear washer pipe from the A post to the rear are usually required . Worth trying to clean the contacts first on the cu to see if it can be fixed . Either way .. make sure you stop the washer pipe leak as its not obvious this is the cause .. if you dont then you WILL be back at square one ! My rear wash has never worked....and I do get the odd weird electrical light occasionally. Will be checking the pipe first thing tomorrow!! They do also suffer from water leaks . if you can pull the front carpets up and check ..
Long term water leak .. it had corroded the crimp connectors in the main harness .. mulitiple faults . I can confirm this rear washer jet, hoking through some previous invoices of my car. I had discovery that the rear jet/motor etc went awol, and the porsche specialist replaced it to a total cost of nearly £1,000. Glad it was not me, apparently it affected the front wipers somehow. 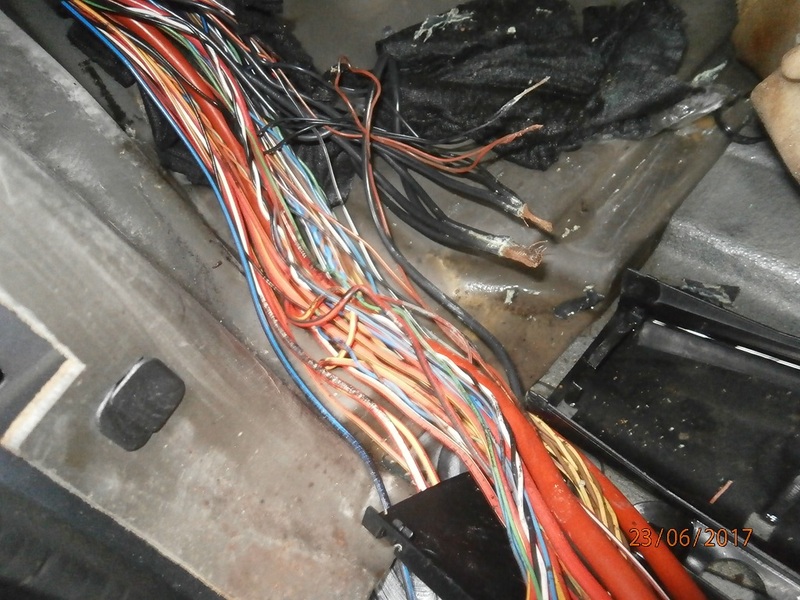 You will get different electrical faults for this , it all depends on what the water shorts out in the control unit .